Epsom Downs Window Cleaners is a privately owned family business based in Epsom, Surrey offering cleaning services starting from only £6. We use the latest in window cleaning technology, pure water reach and wash system, to guarantee fantastic results every time. Although we pre-dominatly cover the area locally to Epsom, we do travel as far as Surrey, Hampshire, Sussex and London. 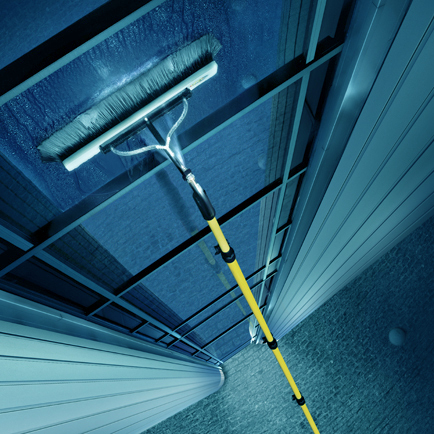 Already got a window cleaner? Do they always clean the frame and sills with every wash? We do. Do they reach all the windows? We will. Do they let you know when they are coming? We do. Are they reliable? We are - we guarantee it! Do they offer you a choice of how often they come? We do. You're the boss! Please get in touch now for your free, no obligation quote.